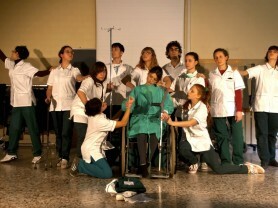 Since 2005 the Bachelor of Science in Nursing of the University of Turin, in cooperation with the SCT Centre | Unito, has included a constant planning activity of didactics, research and evaluation on theatre in the basic education of professional nurses, realising workshops for students, performances and conferences. The training objective of the nursing profession is to gain effective skills to cope with the relationship and communication with patients and professionals and has led to face various topics such as body and corporeity, the healing relationship, interprofessionalism and discrimination in the healthcare context. Since 2006 a qualitative-quantitative scientific evaluation has been carried out with the direction of the Bachelor of Science in Nursing in cooperation with the Department of Humanities and the Medical School – Department of Public Health and Paediatrics of Turin. This evaluation underlines the positive effect of the theatre experience in the training of the students, as it favours a deeper awareness of the potentialities and limits of the body and a critical reflection on one’s personal and professional experiences. Promoting institutions. 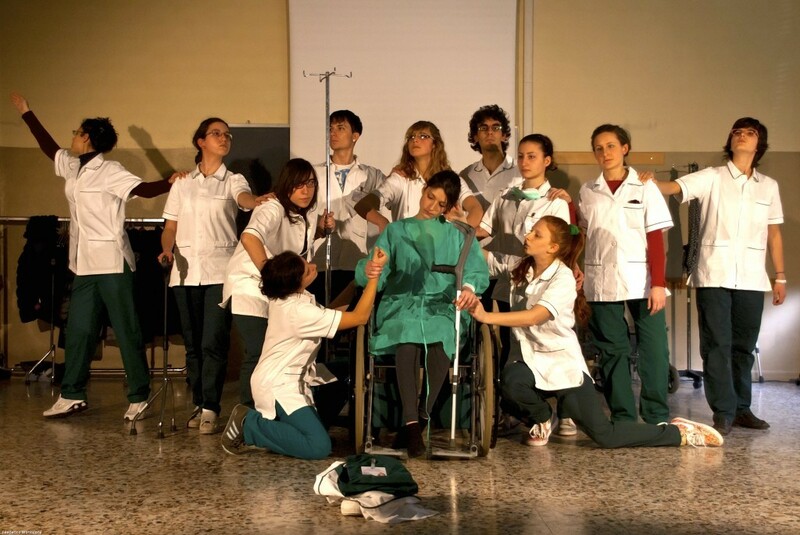 Bachelor of Science in Nursing of the University of Turin, Social and Community Theatre Centre | Unito (former SCT Master), in cooperation with the Department of Humanities and the Medical School – Department of Public Health and Paediatrics of Turin. The project “How do you feel me? Theatre as an innovative health care against discrimination”, supported and financed by the European Social Fund, was realised in cooperation with the InPrESa association (Educational and Health Promotion Measures) and DoRS – Centro Regionale di Documentazione per la Promozione della Salute (Regional Documentation Centre for Health Promotion). The 2013-2015 project “Co-Health. Theatre in the training of healthcare personnel. Research and innovation of the training and evaluation models” has been realised with the contribution of Fondazione Cassa di Risparmio di Torino. Target audience. Students of the Bachelor of Science in Nursing of Turin, Cuneo and Ivrea. Since 2009, also students of the Bachelor of Health Education and, more recently, students of Medicine and Midwifery, in the perspective of a work on interprofessionalism (see the project Co-Health). Methodology and format. The SCT methodology, i.e. the format of the intensive theatre workshop, is used in these training courses giving special attention to three levels of exploration, awareness and learning: a) corporeity, b) harmonised and cooperative relationship, c) the cultural and symbolic dimension comprised in the action. The exercises root in 20th century choral theatre training combined with other mixed somatic and creative techniques: incentives to develop a conscious relationship with one’s body through mixed techniques (respiration, physical movements, ci gong, yoga) and specific theatrical techniques for the body in space and in action; group exercises including theatrical games on couple and group work, combined with improvisation and role playing; storytelling, creative re-use of professional objects and “costumes”, writing of theatrical texts, staging. The project Co-Health will realise two theatrical workshops from January to April 2015, involving approximately 60 students including nurses, doctors and midwives. Qualitative results. The projects realised in these years have always included the definition of a system to assess the training effects for the various actions/targets and an evaluation of what the students perceived during the training experience. With this aim, a multidisciplinary group was organised with trainers of the Bachelor of Science in Nursing, teachers of the Master in Social and Community Theatre and professors and lecturers of the Department of Humanities and Public Health and Paediatrics. 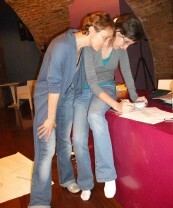 Their task is to design adequate instruments for the qualitative-quantitative evaluation of the effects of the theatrical intervention: observation check-lists in use during the workshop for self- and hetero-evaluation, pre- and post- focus group, pre- and post- role playing, reflective and emotional journals. 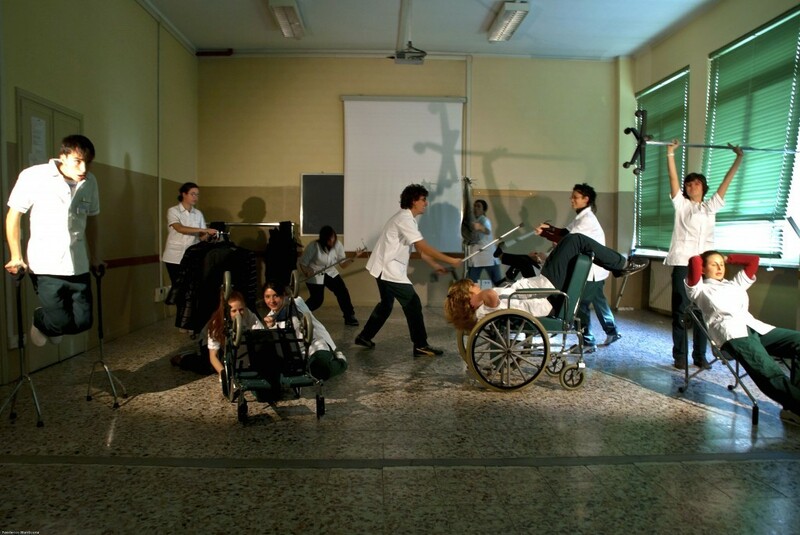 In general, the results obtained thanks to the various instruments and techniques used show a deep convergence between theatre and the training for the healthcare relationship. The theatrical workshop represents a place where the students can reconsider their experiences from a critical point of view; it encourages them to became aware of their potentialities and limits and connects their personal experience with their professional context. Therefore, theatre proved to be able to create ideal conditions to face complex topics which require a deep personal involvement. Moreover, the group interaction made the students realise that their point of view is not the only one involved and that they can also see through the eyes of others, either patients or professionals. Valerio Dimonte, Alessandro Pontremoli, Alessandra Rossi Ghiglione. Alberto Borraccino, Patrizia Lemma, Raffaela Nicotera, Debora Spano. Marta Abate, Alessandra Rossi Ghiglione, Maurizio Bertolini, Pietra Selva Nicolicchia.